These are the things that are on my mind right now. I don't have an explanation as to why. The Fall envy may be due to the constant gray skies in the evenings. Each night we have a beautiful lightning/thunder storm complete with the lullaby of rain on the windows. I love the gray skies that are a backdrop for the fireworks of fall, or later on in the season, an eerie stage to showcase the trees clinging to their last leaves, making it perfect for the spooky season of Halloween. I bought some Ovaltine the other day, because I was wanting some decadent goodness for breakfast. Ovaltine is such a fall beverage. Not as much as mulled spiced cider, I admit, and it may be more of a winter/Christmas drink, but it is on my mind a lot lately. Also, I have been wanting to break out my fall decor. I love decorating, but don't have many decorations... except for autumn! 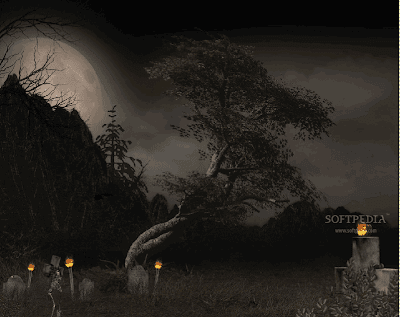 Also, I have tons of fun idea on how to decorate for Halloween this year. Speaking of Halloween, what are you going to be? I haven't decided yet. We just got The Adventure of Mr. Toad and Ichabod in the mail, and Keith has been enjoying it all over the place. This could also be a reason I am longing for Halloween. I was reading a blog, and it mentioned getting started on Christmas gifts. I decided at the beginning of this year that I wanted to have a handmade Christmas this year. I think it will be a lot of work, but I think I will enjoy doing it. Developing hidden talents and all that stuff. At any rate, I have never really made anything handmade, except a baby blanket here and there, and honestly, Jeffrey isn't going to want a baby blanket. Does anyone have any suggestions? Have you ever done a handmade Christmas before? What did you do? What was your favorite handmade gift you have ever received? 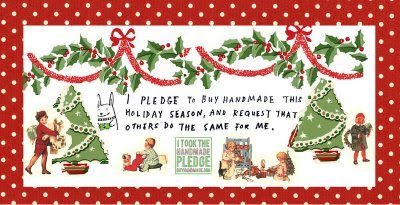 Do you think handmade is better than store bought (and I am not talking about food here, because everyone knows the answer to that is a loud resounding yes)? These are the thoughts that are tormenting my little mind. I am loving the summer, and feel guilty for longing for the fall, but lets be honest, fall is the greatest season ever made, and for anyone who has to endure life without it, I truly pity you. Any suggestions on how to just enjoy the moment and be patient for my most favorite time of the year? I freakin love the fall! And now I am out of fun summer activities. What do you do to make summer go by faster in order to get to the fall? I would appreciate any ideas. Thanks! You all are the best! i am sooo ready for halloween, fall and christmas! usually around july is when i start geering up for it. i also am aiming to start christmas early this year, i hate always being so last minute. Oh and btw, you may want to stop by my blog and gimme a feedback on the things i just put up there! Thanks a bunch! I am always jealous, and a little irritated, when I read on a blog about someone being done with their Christmas present making - already! I love Ichabod Crane on Halloween!! Actually, I watch it all through the month of October! My family always has! I love Bing Crosby's voice...he narrates it and as soon as I hear his voice I'm instantly transported to Halloween and spooks! We've tried the book on tape too by Blackstone Audio...it's fabulous as well! I've been tinking about Halloween and Christmas too for some reason...I know exactly how I'm gonna decorate my house! And congrats on being pregnant!